There is no greater ammunition for #ChangingRisk than the opportunities presented by new technology. We must use it to enhance and evolve risk management practices or we risk becoming obsolete, writes Philippe Cotelle, Board member of Ferma and Amrae. Digitalisation is beginning to transform the way in which businesses operate and if risk managers want to continue adding real value to their businesses, they must join today’s digital transformation journey. This is crucial because as the cyber revolution started to build momentum, risk managers were too late. They are now having to play catch-up, both in terms of learning about new technologies, and the associated risks. And that is the first of two key challenges for risk managers – responding to today’s technological landscape. New technologies provide companies with the potential to diversify their services and take advantage of new opportunities, but they are moving ahead without a clear view of the risks associated with digitalising and building new services. In the past, once you’ve delivered a product, you transferred the risk to the buyer but now, all that will be far less clear cut. Manufacturers and service providers will become more interlinked as technology advances, and risk managers of the future will need the capabilities to address that situation. The technologically-connected world is going to completely change the rules. In the future, people will not buy products, they’ll buy facilities. For example, manufacturers will fulfil a very different role as their products undergo constant reconfiguration. This, in turn, will transform the risks that companies face and the risk profile of the entire supply chain. Indeed, the risk management industry needs to be more agile and comfortable with change, to engage and interact with new technological developments and trends – which will continue to grow aggressively. Risk managers must ask themselves, “How do we use these new technologies, not only to identify new risks, but to find new opportunities to change and challenge the way in which we think about risk management as a practice?” We must use the opportunities presented by technology to come up with and inspire new solutions that add more value to business. Imagine a future in which we can monitor all the products and hardware on each site with the tap of a finger. That we can visualise the stock and financial sales, and then immediately adapt our insurance coverage, in real time, as the nature of our inventory evolves. Or that we can use the huge amounts of data available to us to better pinpoint the best new sites for investment. We must view technology as a tool that could help the risk management community to work in a much more dynamic way. We must embrace these technological developments – use it to add value – or we risk being replaced by machines that will do the traditional jobs of past and dated risk management practices. The advanced digital transformation train is about to leave the platform and we must all get on that train before it is too late, so that we can be ahead of the game and involved in the decision-making process. For me, #ChangingRisk is about rethinking and challenging risk management practices by embracing technological opportunities so that we can better respond to new risks, so that we can add tangible value to our business. Companies are always looking for new opportunities and of course, we as risk managers must help our companies do that. And as soon as executives begin developing growth strategies, we need to ensure we’re involved in the discussion, both from the perspective of identifying the risks but ultimately, to help the C-Suite make the right decisions, by using risk management in a more compelling way. Staying relevant as a function is also about looking inwards and seeing how technology can present opportunities for the risk management industry at large. 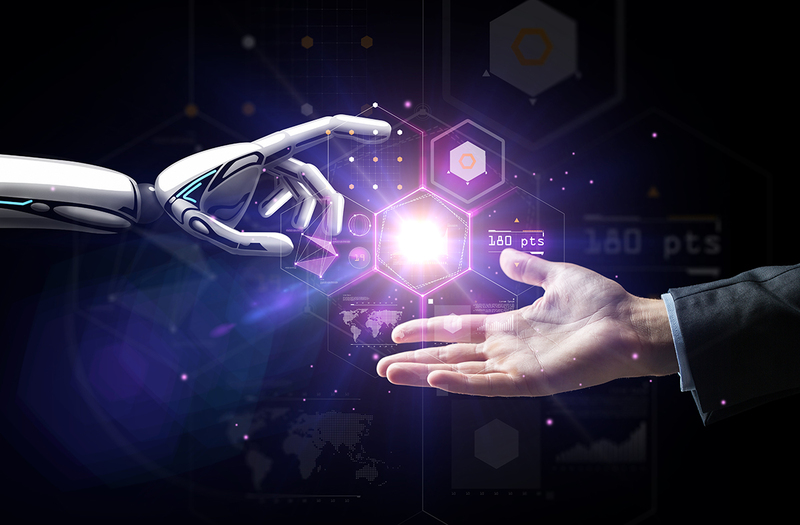 We must embrace these technological developments – use them to add value – or we risk being replaced by machines that will do the traditional jobs of past and dated risk management practices. This article was first published by “StrategicRISK”. Reproduced with permission.